The ASU Wind Ensemble and the ASU Choir combine their efforts for an unforgettable evening of music and song. Talk Cinema offers sneak previews of new independent and foreign films. Kenny is back with his 6th stand up comedy special “The most interesting person in the room”. Enjoy a a live cooking demonstration and tasting for the Center’s Discovery Cuba Series. Explore the culinary arts through this exciting new partnership with Young’s Market. Cinderella Rocks retells the familiar story using classic music from the decade and diverse dance styles including tap, jazz and hip hop. The best-selling author and award-winning humorist reads from his latest works, followed by a Q & A and book signing. Come and learn about the significance of Native drums, drumming, and the material drums are constructed from. Inspired by Martha Redbone’s own life and the women she is descended from comes an interdisciplinary musical theater work, Bone Hill - The Concert. 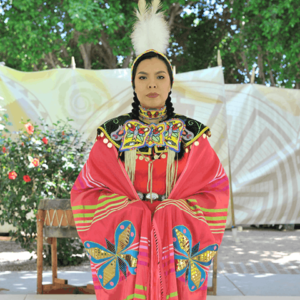 Come and learn about the evolution of Native American clothes and dance Regalia of the Southwest.